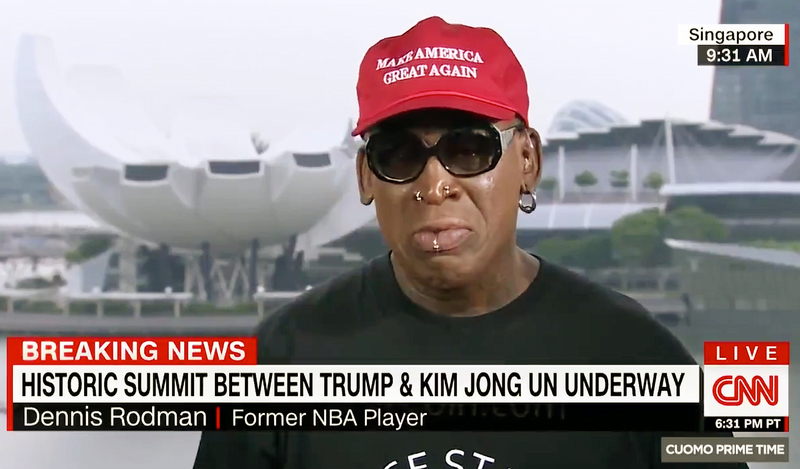 Dennis Rodman was overcome with emotion during a TV interview about President Donald Trump’s historic summit with North Korean leader Kim Jong Un on Tuesday, June 12. After wiping tears from his eyes, Rodman explained that he is continuing to advocate for peace between the two nations. He said he is friends with both Trump, 71, and Un, 34. Trump and Un signed a joint agreement on Tuesday morning to work toward the denuclearization of the Korean peninsula. It was the first-ever summit between a U.S. president and a North Korean leader. Rodman previously met Un at a basketball exhibition in Pyongyang, North Korea, in February 2013.